Welcome to our BMKF team, Rama! Good news! 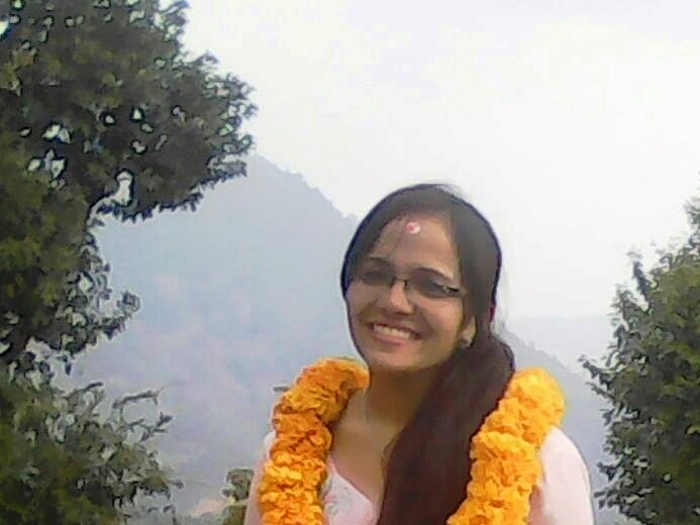 The Bo M. Karlsson Foundation has hired BMKF scholar Rama Poudel ’15 to be the accountant for our scholarship program in Nepal. Rama graduated last year with a bachelor’s degree in business studies. She is originally from Pyuthan and we are truly delighted to have her join our team. Welcome Rama! 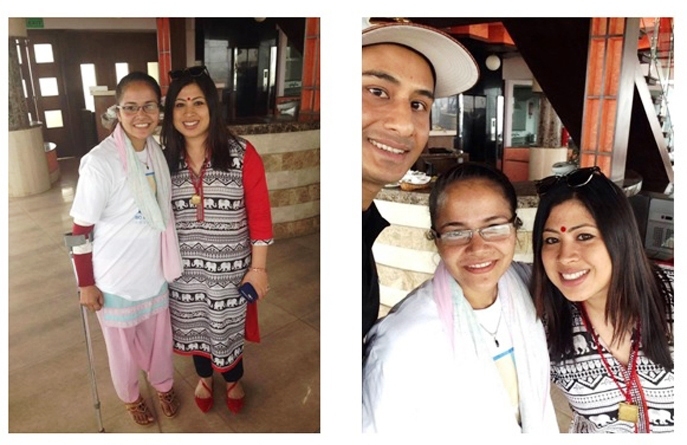 In March, Seattle residents Sanju and Suren Shrestha traveled to Nepal to renew their wedding vows. They also celebrated the Bo M. Karlsson Foundation’s 12th anniversary with BMKF scholars and board members in Kathmandu. Suren is the co-owner and CEO of Rain City Burgers in Seattle’s Roosevelt neighborhood. The couple are also BMKF advisors, and Rain City Burgers sponsored a scholarship for Rama Poudel, our new accountant. Tell us about your wedding vows. Is that a tradition in Nepal? Suren and I were busy with our work and saving money to have traditional wedding in Nepal where most of our friends and family live. Nepal doesn’t have a wedding vow renewal tradition, but we never had a huge wedding. After so many years, we wanted to celebrate our love and friendship and we did so in a very traditional manner, the way it was done by Suren’s parents in their remote village. What’s life like in Nepal a year after the big earthquake? Most of the historic places are being rebuilt. People are trying to get back their normality but the politics are a big obstacle. Nepalese people don’t need much to be happy, but they are struggling day to day, trying to rebuild their lives with fuel shortages, electrical shortages, water shortages and so on. But if we are talking about people’s spirit, they seem to enjoy small things in life more, to celebrate and appreciate life more after living through an earthquake that was an end-of-the-world experience. What was it like to meet with the BMKF scholarship students? Every scholar was confident and driven! We were so impressed with all of the students and how Sonnia didi and the BMKF team have changed their lives. Sabita is providing great leadership as the program manager. It was a heart touching experience to meet Rama, the student we sponsored, and see how a small donation can change someone’s life. After meeting these young women, we have fallen in love with BMKF even more. Every single candidate is deserving — and they are able to accomplish their dreams because of the Bo M. Karlsson Foundation. Sanju was in Nepal during the April 2015 earthquake. 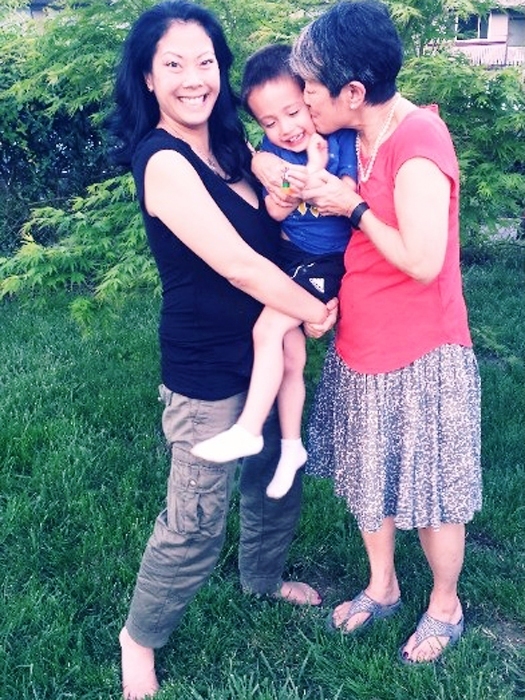 You can read more about her experience on our blog. Come pamper yourself, socialize, and support women’s education in Nepal! Hosted by Nancy and John Kloster at their Bellevue home, this fun event will feature tantalizing products for purchase, plus a raffle with beautiful Nepali crafts, custom jewelry, and more! Proceeds will benefit the BMKF scholarship program. Light refreshments will be served. ali. b. doodles by Alison Boscolo: Custom designed silk screen prints. Interested in more information? Would you like to RSVP? Curious about volunteer opportunities? From Kathmandu to Tengboche Monastery, you’ll get to experience amazing scenery, village life, culture and comradery on the trail. This is the country, people, and community the Bo M. Karlsson Foundation supports through higher education for young women. Join us in October for 12 days of experiencing Nepal. Trip includes a visit with our scholars. 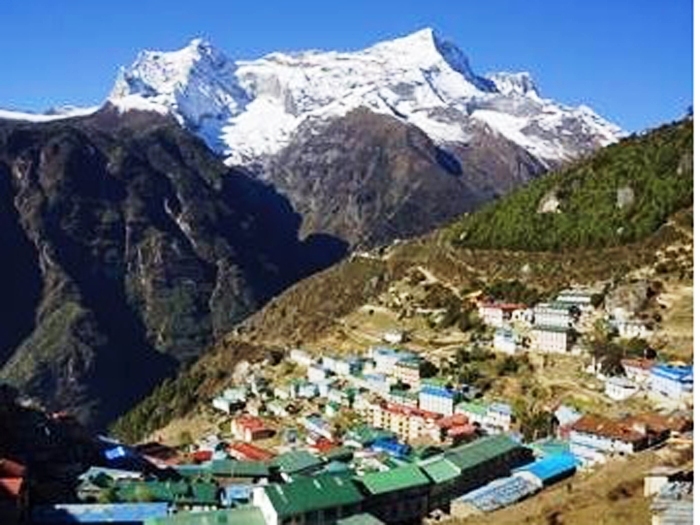 The photo on the left represents Day 5 of our trek, on the route to Tengboche, and a rest day to explore the Namche Bazaar and market.